It’s my 4th day in Singapore and I realized there are plenty of decent non-hawker food places here. So far, I’ve tried ramen, coffee, Italian, deli food and takoyaki, which I’m going to blog about. Prior to this, I’ve steered clear from takoyaki ever since I had a god-awful version outside Jusco in One Utama a few years back. They were doughy, rubbery and soggy. But Jeen insisted we tried the takoyaki from Gindaco at ION Orchard when I met up with her, saying it’s nothing like the one I had in KL. Takoyaki comprise octopus pieces embedded in batter, pan-fried in a round mould and topped with mayonnaise, teriyaki sauce, bonito flakes and seaweed bits. 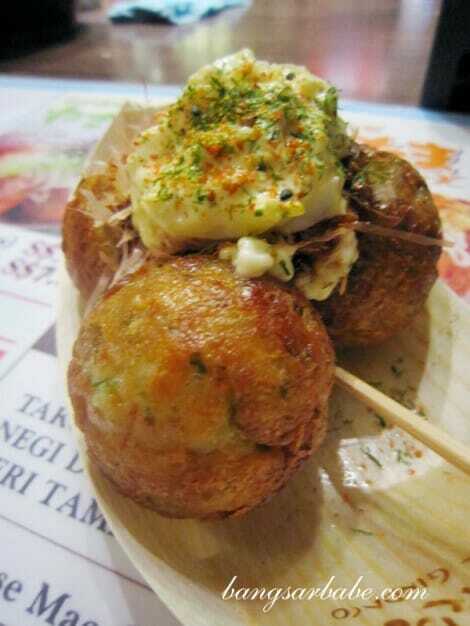 4 pieces of takoyaki with original sauce cost SGD3.60 while the one with egg and teriyaki sauce is SGD3.80. Gooey centre. Spot the piece of octopus! 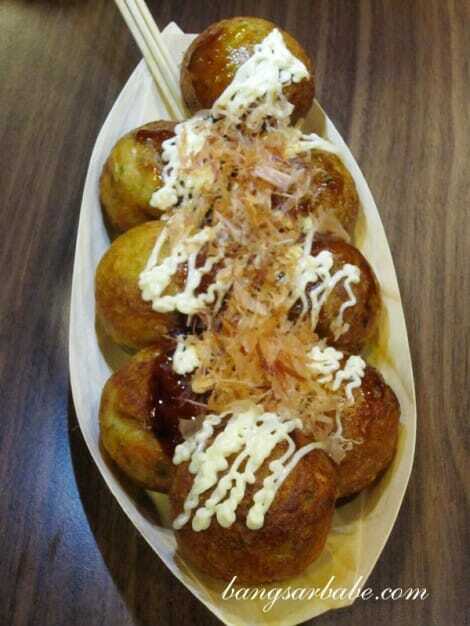 I’ve never been to Japan so I can’t make a comparison, but Gindaco’s takoyaki in Singapore was good stuff. Crisp on the surface and almost the size of a golf ball, the takoyaki had a slightly gooey centre – very addictive and filling. 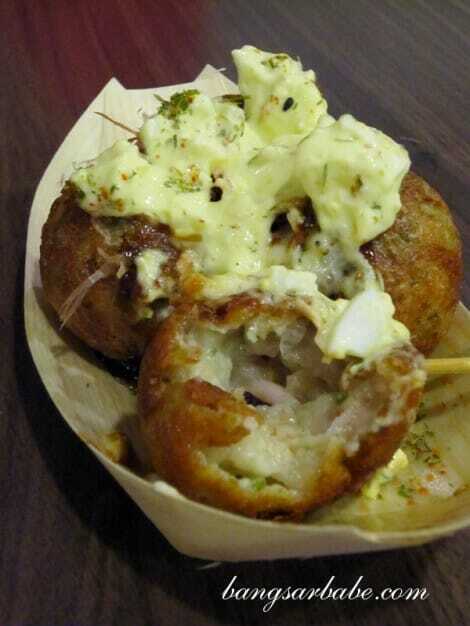 Between the original version and egg, I preferred the former as the egg felt too heavy on the takoyaki. 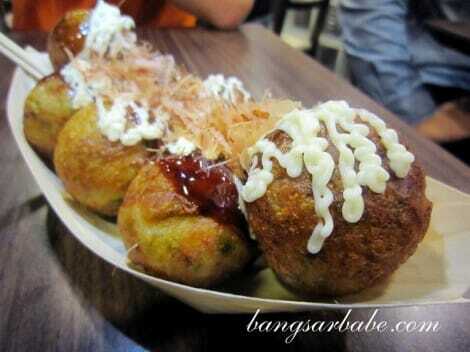 The next day, I took rif to try this and we ordered 8 pieces of takoyaki (SGD6.40/SGD9.20) with two drinks. 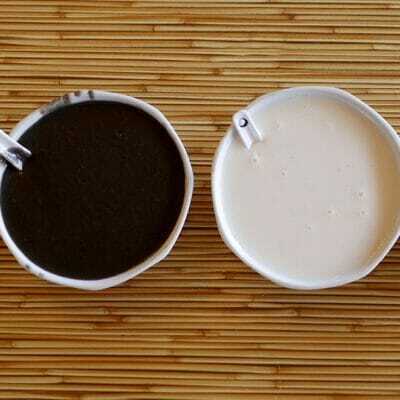 The queue can be quite long during peak hours, so be prepared to wait for about 10-15 minutes for this. While it was tasty, I wouldn’t say it was to-die-for. Just a simple and delicious snack. 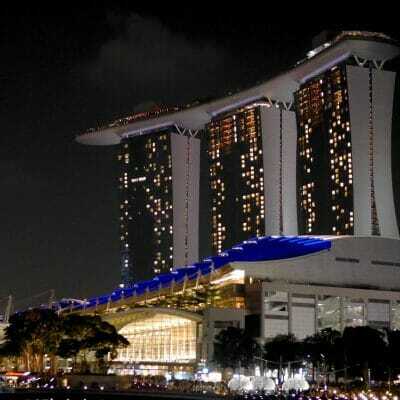 You are in Singapore now!? Enjoy ;D btw I am following your site ;P love your videos, photos and writing. 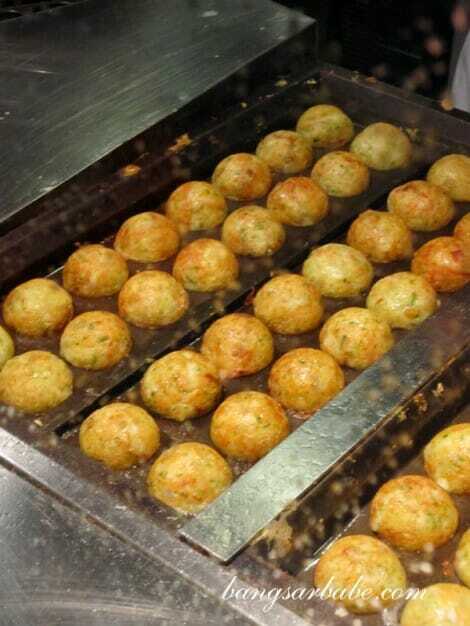 The best takoyaki can be found in Taiwan and HK!! 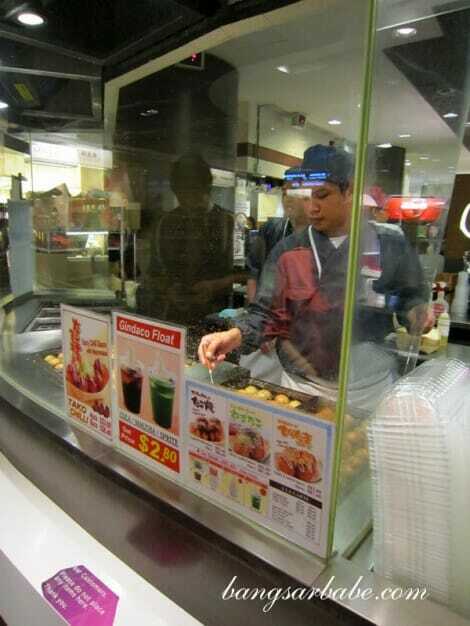 the way they serve just like in Japan . 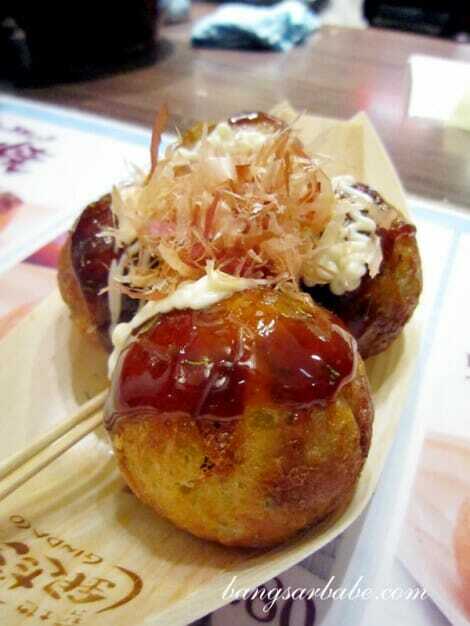 i had it like every time i pass a stall selling takoyaki in Osaka n Kyoto . Oooo…now you make me wanna go Japan! You should go one day. It such a beautiful country with great simple food everywhere.